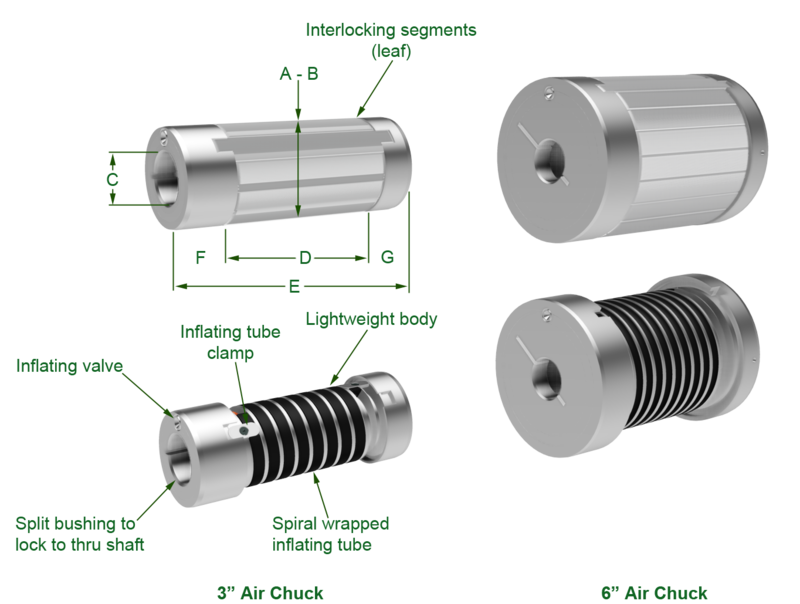 COR-LOK air chucks are different. 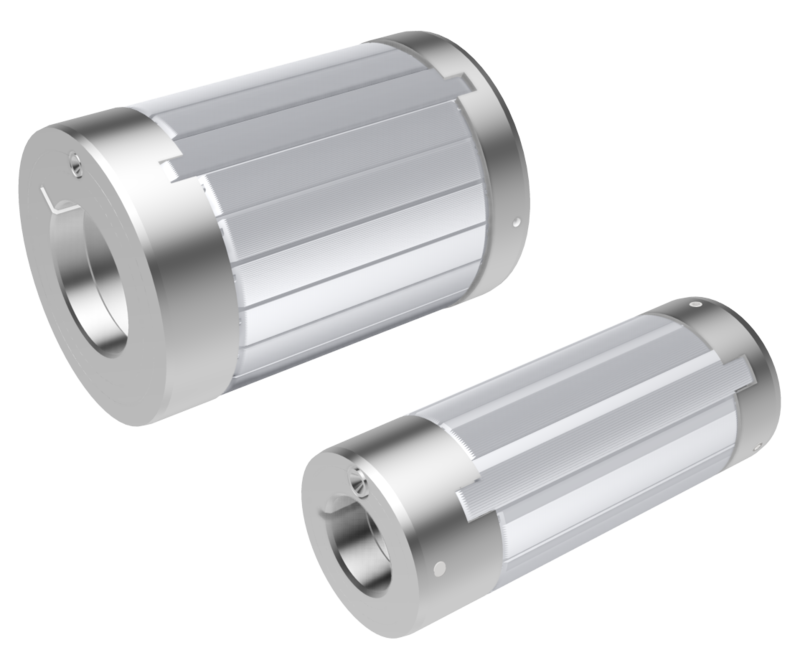 Their unique design provides high-torque core locking with zero core damage. COR-LOK B2 series air chucks utilize inflating tube engineered to fit the COR-LOK spiral internal housing. Inflating the air shafts with pressurized air will actuate COR-LOK's interlocking segments to engage the core and lock it in place. 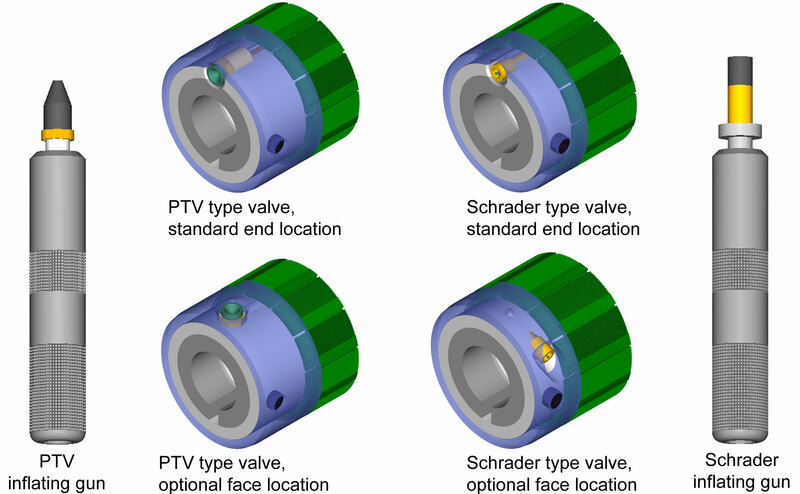 These interlocking segments expand evenly around the circumference and across the width of the core, ensuring even torque distribution in the core's inside diameter. This means your cores will not slip and will not distort during the unwind / rewind process. Standard air chucks are supplied with thru bores, regardless of length. 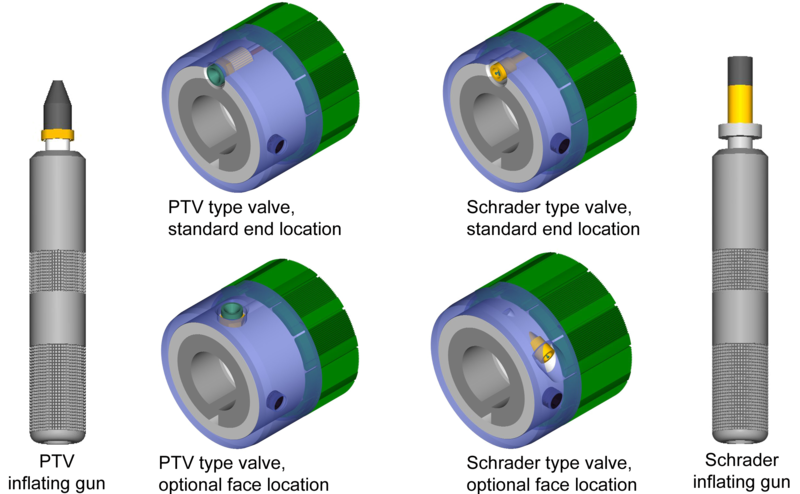 They may be mounted to any thru bar / shaft; locked in place with CAC's unique split bushing design. Custom designs are available with thru shafts or mounted journals. 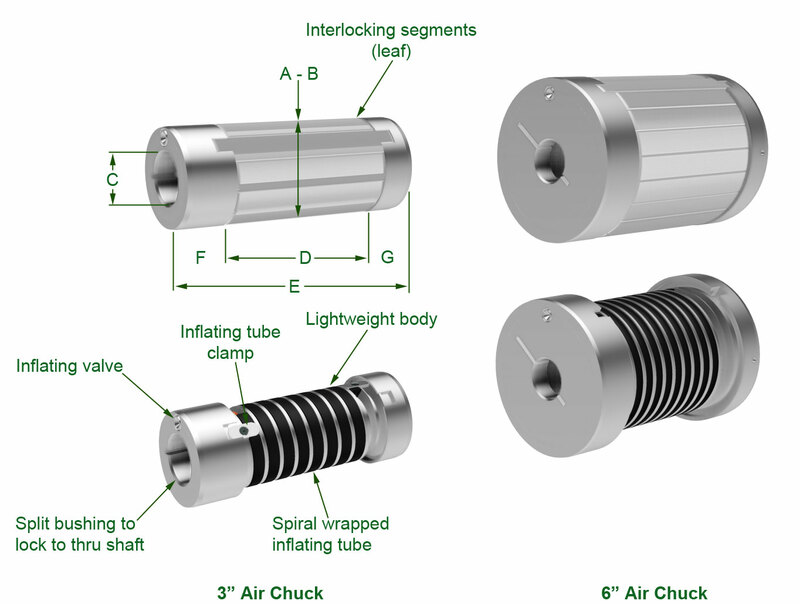 Standard air chucks may be used in cantilevered and dual support applications. All dimensions in inches. Thru bores machined .010”-.015” oversized unless otherwise specified. Custom and metric core sizes available, please contact us at (800) 433-2413 or sales@converteraccessory.com for more information. *3-3/16” inflated diameter is attainable with leaf and retainer design (only). Contact us for more information.